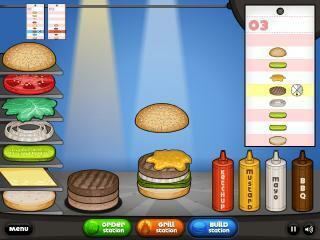 In this game you are in charge of preparing and cooking the delicious Cheesy Chicken Simmer dish. Cheesy Chicken Simmer is a tasty meal that your whole family will love. To start off, you will have to buy the correct ingredients at the grocery store. Go through the list of ingredients and pick the ones off the shelves that you need. After that, the game will walk you through the steps of preparing this delicious meal. When you are done you can see what a tasty looking meal this really is!